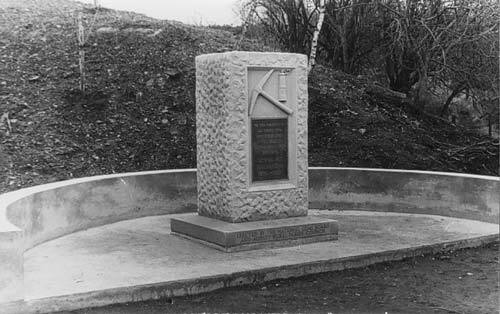 This memorial to the worst disaster is inscribed thus "To the memory of all those who lost their lives in the fight to extract coal from this mine". MINNIE PIT. HALMEREND. 1890-1931. The dates shown on the monument do not actually reflect the period during which the mine was active, the pit was sunk in 1884 and closed with the rest of the Midland Coal, Coke & Iron Co. on Saturday 26th April 1930. It is possible that the dates reflect the period during which deaths attributed to work at the pit occured.